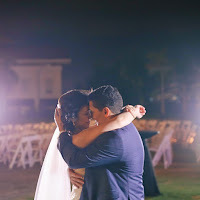 They have such genuine affection between them overflowing to every aspect of their wedding day - from their relationships with family and friends, their guests, to every loving detail they put into making this celebration of their union a truly meaningful one. It was such a joy-filled occasion among those they hold dear, and though tears were falling through day and night, they were tears of the best kind - of overwhelming love and constant laughter. As a spectator to this event marking the start of the rest of their lives, I can't help but feel a bit of pride (though vicariously) in knowing that someone who committed his life to serve and protect found someone to be his light, his joy and his peace. One could really see the depth of Dave's love as he would watch Lau laugh, talk to him and to others animatedly, or when she would just contentedly smile at him. But then comes a wedding that reminded us both of an important truth: a wedding, though the most special day of one's life, does not necessarily have to be a spectacle of an event. It's a beautiful and solemn ritual that brings a man and a woman together making them, their lives, and their families one. And that's all you need, everything else are cherries on the wonderful slice of the rest of your life. Ceremony. Our Lady of the Most Blessed Sacrament, Valle Verde 5. It was a wedding coordinated from separate parts of the globe, but had not suffered in charm and exquisite simplicity. Details were lovingly handcrafted by the bride herself, such as the DIY pinwheels that had accented outfits, the church, and the reception venue. All were put together to make special an event that unified Faith and Family. 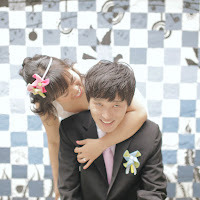 e-session with Joey and Katzi, whose mutual adoration radiated on cam and off cam. Ian and Blair's wedding was one that exuded elegance in all aspects, from how the event was designed (the ceremony, the staging) down to the smallest details. 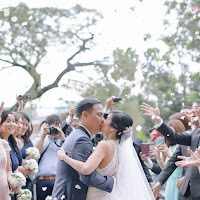 But while their wedding was a big event, the love and affection they shared with each other, with their family and friends, made it feel so intimate. The loving couple was just radiant with adoration and joy, and it was a special sight to see and to photograph. I love when I get to shoot something new! Chinese engagements are so interesting... the culture, the ceremonies (in the Ting-Hun), and the exchange of gifts! 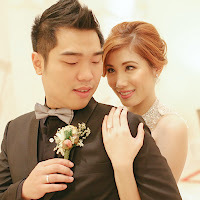 We were fortunate to shoot the Ting-Hun of Ian+Blair, and we learned a lot about their culture while we were at it! "Para Siempre" Dance was their language of love for each other. A very intimate and Passionate love shown in this garden wedding.